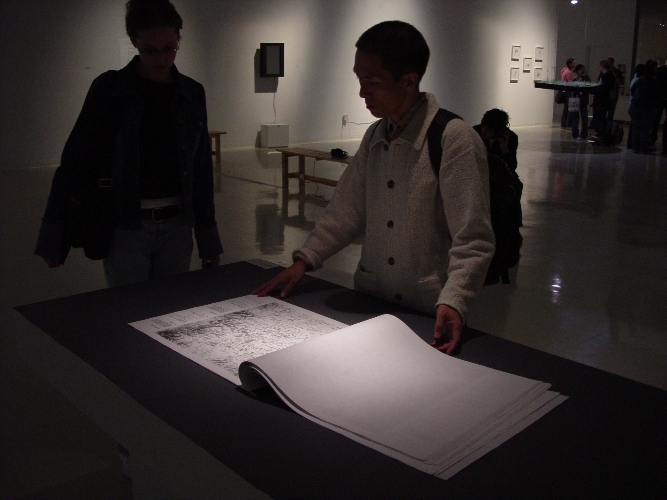 Exploring experimental approaches to mapping a set of personal landmarks that is not their own, Grady Gerbracht and Claudia Vieira allowed themselves to be directed to locations throughout Kyoto chosen by residents. 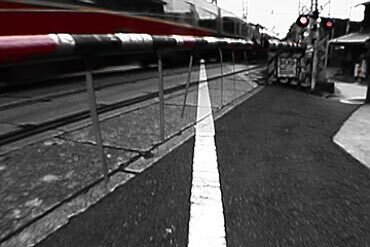 A camera and special microphones were mounted on a bicycle to record the performance of daily journeys, one for each day in the month of June. 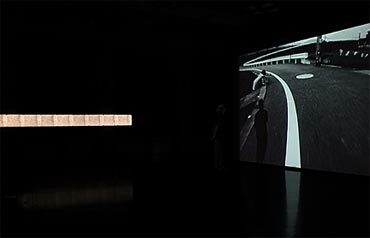 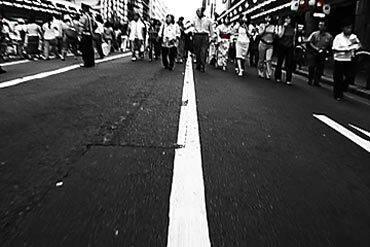 In the video loop, a white line dominates the large projection, drawing in time and space with linear segments borrowed from the streets of Kyoto. 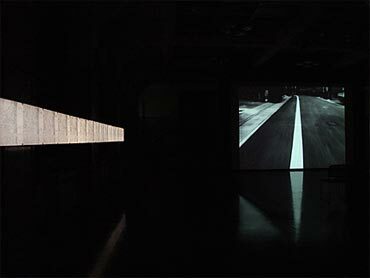 Perpetual forward movement animates the line, constructing a topology that overlaps the urban experiences of the artists with those of the residents. 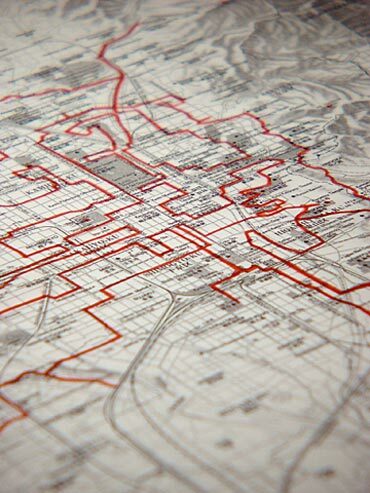 It is a liminal map that traces the topography of the city, passing through a variety of geographical locations, times of day, and ambient conditions, always en route from one place to another. 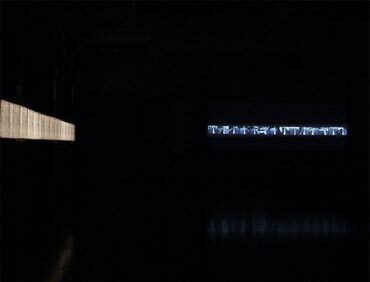 underLINE is a spatial record of time passing, a metaphor linking the intersections of collective experience. 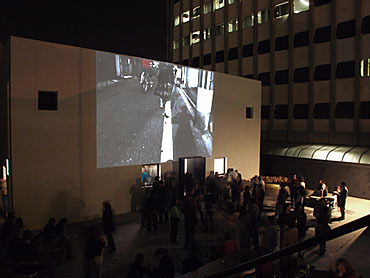 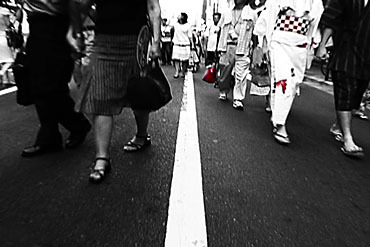 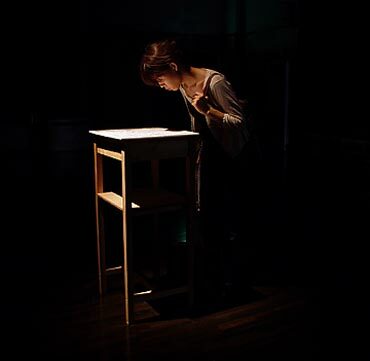 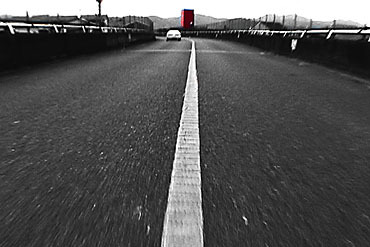 Originally conceived as a multimedia installation for the Kyoto Art Center, the project has been subsequently re-presented in various forms such as large scale public projecion (Galeria Vermelho 2006), and as a video short traveling to various international festivals (Parakeet Video Salon 2005, Pineapple Videobar Screening Tour 2005 – 2006). 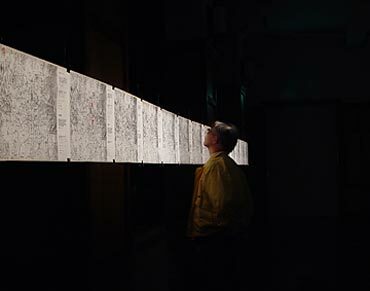 Whenever possible the artists accompany the video with a presentation of thirty maps that show the locations the Kyoto residents selected and explain their choices in English and Japanese either traditionally mounted on the walls of the exhibition venue or as a large cartographical book that viewers can flip through.